The Cellar Reserve Edicion Especial 18 Year Solara goes above and beyond in perfecting the Cellar Reserve blend with a Corojo wrapper and 18-year aged tobacco. This medium body, full flavor cigar is just a joy to smoke and comes packaged in a beautiful piano finish, mahogany box. “I partnered with our blenders to search for the rarest tobaccos we could find and stumbled upon this 18-year old Corojo wrapper and blend. There was only enough to make 100 boxes of each size initially, and we couldn’t be happier with the outcome. 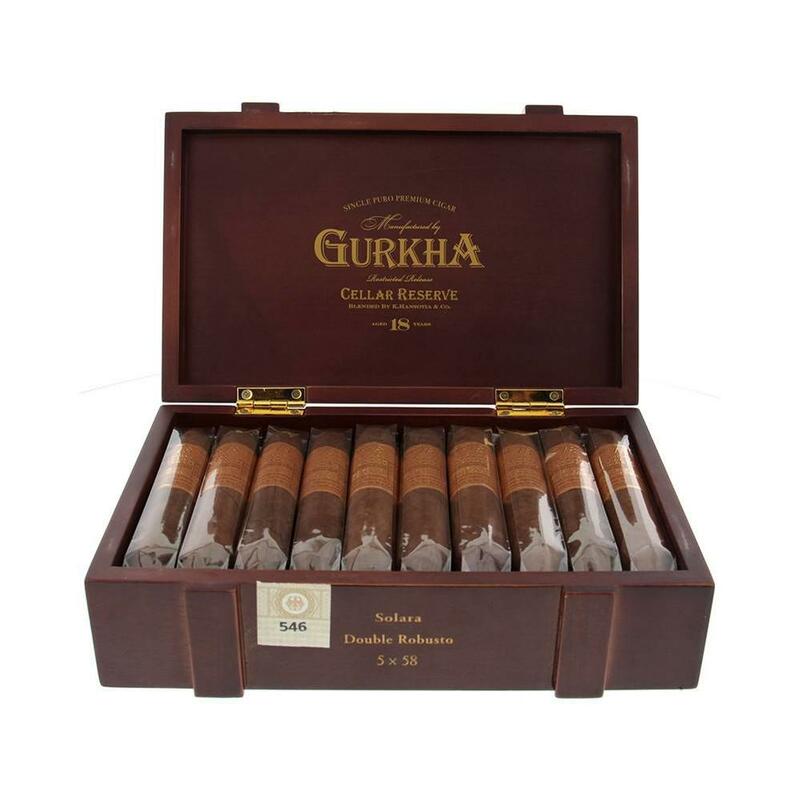 In fact, at this very moment we are searching for another rare blend for next year,” -Kaizad Hansotia, CEO and founder of Gurkha Cigar Group, Inc.
What separates Cellar Reserve ultra-premium cigars from the rest is, of course, the Cellar Reserve blend of Corojo wrapper and Dominican binder and the meticulously aged filler tobaccos. This cigar showcases the balance of bold and complex flavors with notes of leather, mocha, barnyard hay, graham crackers and a dash of white pepper. A primo pairing with Cellar Reserve 18 Year would be a premium aged rum. Rum is the second largest selling spirit category in the U.S. with 24.7 million cases sold in 2016. People tend to think aged rum offers a full array of flavors ranging from butterscotch and cinnamon to tropical fruits and tobaccos. Most rum is bottled directly from the still, but some are aged in charred oak barrels. Typically, these barrels were previously used to age bourbon in the United States. In some cases, the rum is allowed to blend and mature in another barrel for a second maturation. This rum is designated as “single barrel”. Occasionally, distillers will top off their barrels with rum of the same age. Or, in the case of a “solera”,with rums that are one year younger. Aged rum is bottled straight from the barrel. In the U.S., the age is determined by the youngest rum in the bottle, and must be indicated by an age proclamation. Two aged rums to try are from Ron de El Salvador Cihuatán. Solera 8 Year Gran Reserva has simple notes of cocoa, smoke, molasses and sugarcane. Ron Cihuatán Solera 12 Year Reserva Especial is more complex with chocolate, brown sugar, vanilla, hazelnuts and pepper on the palate. These finer rums are best enjoyed straight or on the rocks, and most certainly pair well with a Gurkha Cellar Reserve 18 Year Solara Double Robusto. Enjoy!